The high voltage midweek European encounters will be followed by an equally testing run of matches for the crème of the crop in the English top flight. Our first highlight encounter for this weekend will see Tottenham Hotspur welcome Huddersfield Town on Saturday noon in what will only be their second Premier League encounter in their new state of the art stadium, whereas Manchester United will play host to West Ham United later that evening. 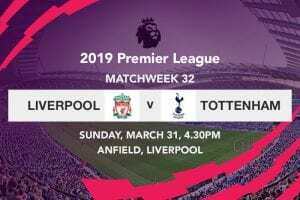 Sunday’s first match will see champions Manchester City on the road against Crystal Palace, while Liverpool will welcome Chelsea to Anfield in what is to be the mostly hotly contested bout of Match Week 34. Arsenal will close off this weekend’s action with a trip to Watford. 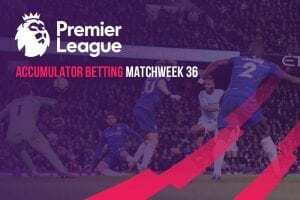 Tottenham will be hoping to round up what has been a good week by churning out a win against Huddersfield Town on Saturday afternoon in the EPL. Spurs put up a masterstroke to beat Manchester City 1-0 in Tuesday’s first leg of the Champions League quarterfinal; setting ground for an explosive return fixture against the Citizens next week. Although top teams more often than not labor during weekends that immediately follow a week of Champions League football, Mauricio Pochettino’s charges shouldn’t have any problems brushing aside a Huddersfield Town outfit that has already faced the drop. Manchester United has entered into a season defining point of the campaign with plenty to play for in both the Premier League and Champions League. A 1-0 home defeat to Barcelona in the Champions League means that the Red Devils have now lost four of their last five games in the FA Cup, Premier League and the Champions League; an undoing that has greatly compromised on their chances of not just securing top flight European football next season, but also finishing the campaign with a piece of silverware. It’s understandable that United simply can’t wait to launch an onslaught against Barcelona on Tuesday night with the hope of getting the same outcome as they did against Paris Saint-Germain in the second leg of the last-16. What better way to set such a tempo than by imposing themselves against West Ham; a side than mauled them in the fixture during the first half of the season. Manchester City will be looking to return back to winning ways when they travel to London for a Premier League match against Crystal Palace this weekend. Still formidably competing on three different fronts at this stage of the season, Pep Guardiola’s side finally met their match when they sustained a 1-0 win away to Spurs during the first leg of the Champions League quarterfinals; with the defeat serving as their first since January. Being the crazed pedant that he is, Pep Guardiola will without question unleash the fury of a thousand suns on Crystal Palace this weekend, despite the fact that Selhurst Park is one of the toughest grounds in the league. Liverpool’s aspirations for the Premier League title will be tested this weekend when they play against Maurizio Sarri’s Chelsea at Anfield. The Reds neutralized Porto’s hopes of advancing into the last four of the Champions League by beating them 2-0 on Tuesday night; an outcome that is a massive spring in their step ahead of Chelsea’s visit. Although Jurgen Klopp’s side hasn’t tasted defeat since bowing out of the FA Cup against Wolves back in January, Chelsea is well capable of ruffling some feathers at Anfield. Arsenal’s chase for top four will see them travel to Watford on Monday night in the EPL. The Gunners will be desperate for a win this weekend, having already wasted the chance of solidifying their place in the top four by falling to a 1-0 defeat at Goodison Park in Match Week 33. The Hornets are however in high spirits after booking their ticket to May’s FA Cup final against Manchester City, and should as such provide stern resistance to the North Londoners.